Nevada’s cultural institutions reflect the best of its unbridled history — from the Wild West to Sin City. Native artifacts, the remains of old Mormon settlements and mining boom towns, celebrated contemporary art collections, and some of the most singular outdoor art collections anywhere in the world…here’s eight of the state’s best. 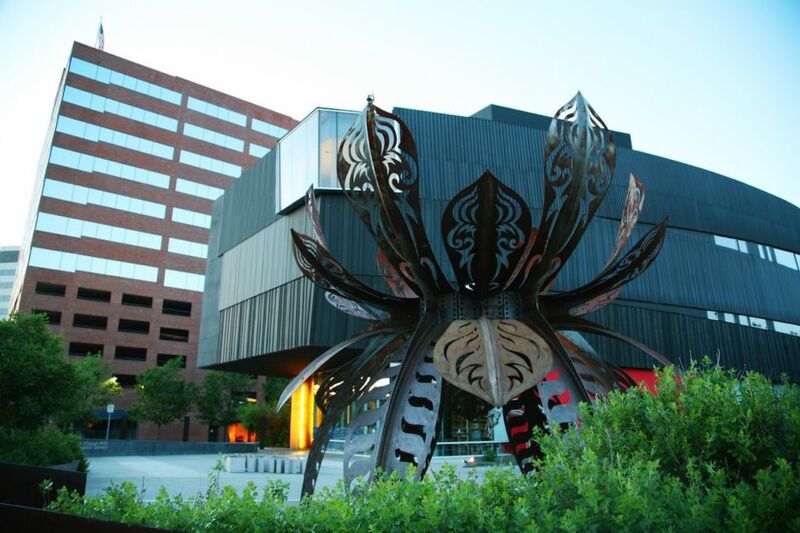 A world-class museum located near the University of Nevada-Reno campus and the University District museums, the Nevada Museum of Art is the only accredited art museum in the state of Nevada recognized by the American Alliance of Museums — that puts it on a list alongside the Metropolitan Museum of Art in New York and the San Francisco Museum of Modern Art. Founded back in 1931, it’s actually one of the oldest cultural institutions in the state (but that doesn’t mean it’s fodder for generic sixth-grade field trips). What sets this one apart is that it’s thematic, exploring the many ways humans interact with — and think about — our environment. There’s exhibitions by both national and international artists, as well as a permanent collection of more than 1,000 contemporary landscape photographs and works across nearly every kind of medium imaginable, including a massive 14-foot-wide orbital reflector (at least through September — don’t miss it). The museum is also home to the Center for Art + Environment (which makes sense, considering the theme). It’s a one-of-a-kind research center that expands on the museum’s purpose: studying — and increasing awareness of — how we creatively interact with the world around us. The orbital reflector and those giant neon boulders in the Nevadan desert you’ve seen on Instagram? That’s part of the CA+E. This is the kind of museum that could only exist in Las Vegas. What began as simple storage of defunct neon signs (known as the “Neon Boneyard”) has grown into a full-fledged museum, complete with a visitor center located in the salvaged La Concha Motel lobby. 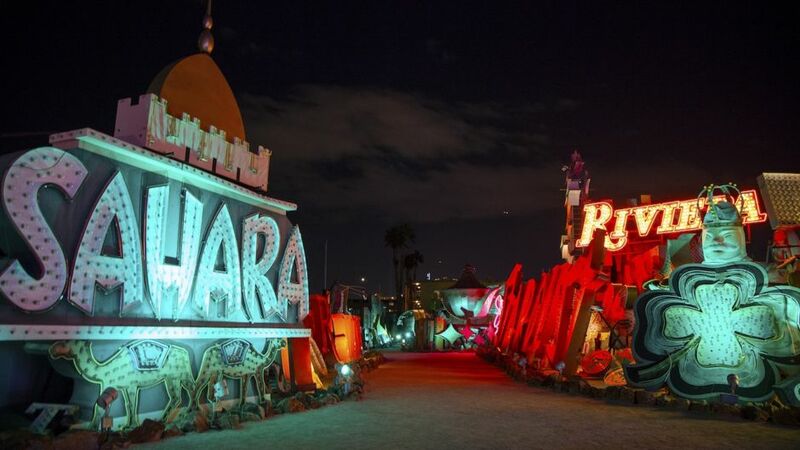 More than 200 rescued historic neon signs can be seen in the boneyard, which sprawls out across nearly two acres. You’ll recognize a ton of them: Caesars Palace, the Moulin Rouge Hotel, the Golden Nugget (and the list goes on). The museum’s campus also includes the outdoor North Gallery event space and the smaller Neon Boneyard Park — hop on a guided tour any day of the week, with hour-long tours running late into the night. The Neon Museum is a Vegas bucket list item, for sure, and is truly an “only in Nevada” attraction. Pro tip: Head to the Fremont Street Experience (not a street, not a tour — definitely an experience) to check out signs that have made it safely out of sign purgatory for a second life, shining again in all their neon glory. The Nevada State Museum in Carson City is one of seven state museums, but this one is distinguished by the fact that it’s located in the former Carson City Mint building, where silver coins were minted from 1870 until 1893 (all bearing the “CC” mark of the mint). The original Coin Press No. 1 is one of this museum’s permanent displays, along with a complete set of Carson City Morgan dollars. 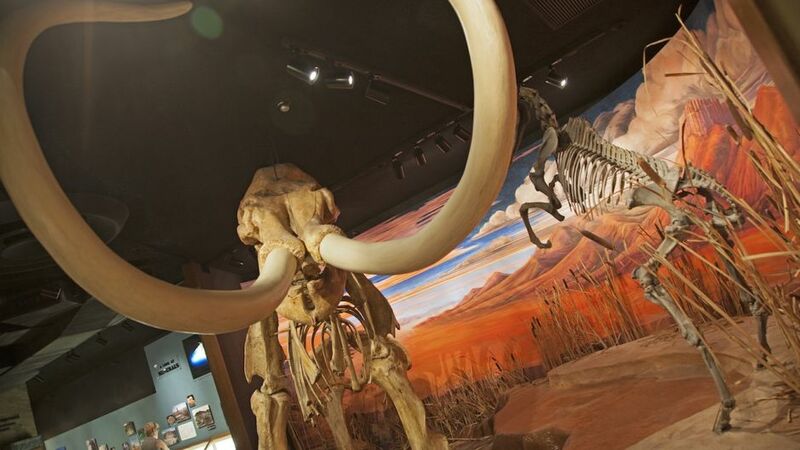 Museum highlights include exhibits on geology (starting over a billion years ago) and a replica of an underground mine, but it’s main claim to fame is a big one: It’s home to the largest exhibited remains of a Columbian mammoth in America (discovered in Nevada’s Black Rock Desert). Speaking of old, North America’s oldest mummy was found here back in the ’90s…in storage. Turns out the “Spirit Cave Mummy” was a whole lot older than researchers first thought when they put it on a shelf 50 years earlier. The museum offers a variety of educational lectures, workshops, and children’s programming, all with a focus on Nevada history — but if you just come for the massive mammoth, we won’t tell. The name isn’t some marketing ploy — the Lost City Museum was built in remembrance of an actual lost city. A Puebloan one, from somewhere between AD 200 and AD 1200. When you picture this museum, think fewer shelves of artifacts behind glass and more wandering through the halls of a reconstructed ancient Puebloan cluster. How was the city lost? In 1936, the completion of the Hoover Dam created Lake Mead — the country’s largest human-made reservoir — and flooded vast sections along the southern Nevada border, including multiple ancient Puebloan sites. The Lost City Museum opened the year prior, charged with preserving as much of this archaeological heritage as possible. Today, it features outdoor replicas like an American Indian pit house and several reconstructed pueblos — open to the public for exploration — along with a handful of indoor exhibition halls displaying archaeological objects, including an actual archaeological excavation site in the center of the largest gallery. This place is hands-on at its most literal. The Rhyolite ghost town is a worthwhile stop in its own right, being the most visited ghost town in a state that has a lot of them. But the Goldwell Open Air Museum is truly a destination, and it’s 1,000% unlike any other outdoor art museum you’ve ever seen. The seven-sculpture tableau is absolutely haunting — and that’s not a joke about it being a ghost town located outside of Death Valley, though those facts certainly enhance the effect. Charles Albert Szukalski’s The Last Supper, featuring life-sized plaster ghosts staged in a modern-day representation of Leonardo Da Vinci’s famous fresco, and Ghost Rider, depicting the same kind of ghostly shrouded plaster figure about to hop on a rusty old bike, are two of the most popular. Other works include Dr. Hugo Heyrman’s Lady Desert: The Venus of Nevada (which you should Google to decide who it resembles), Dre Peeters’ female Icarus, Icara, and Sofie Seigmann’s ceramic mosaic couch, which was not originally created for Goldwell but salvaged by the museum’s directors (it was going to be discarded after the artist’s residency at the DISCOVERY Children’s Museum in Las Vegas). The park is free and open to the public 24/7. The 20,000-square-foot Northeastern Nevada Museum is like walking into a history book of everything that’s ever gone down in the Silver State. There’s an extensive collection of historic artifacts (including American mastodon fossils); Shoshone and Paiute craftwork; Old West ranching, mining, and railroad displays; an original Pony Express cabin; and an exhibit chronicling Basque immigration during the Gold Rush and the cultural legacy of the Basque community in northern Nevada. 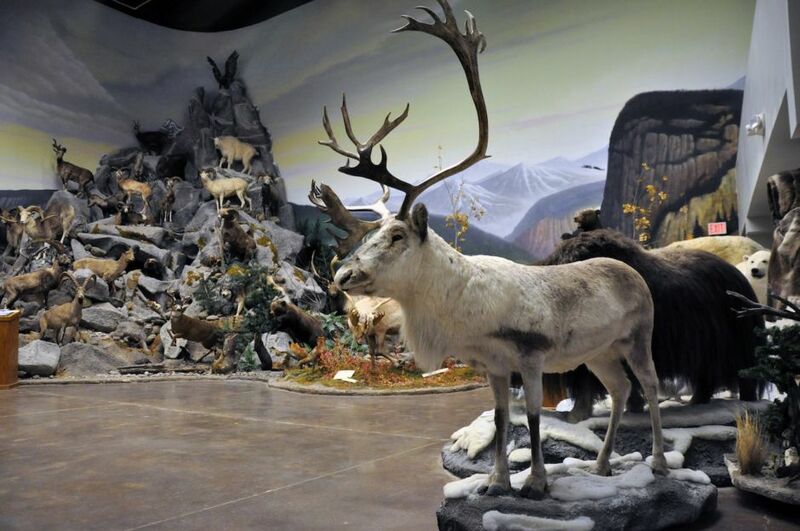 That’s not even mentioning the native-to-Nevada taxidermy installation, the gallery featuring work of legendary Western artist Will E. James, and the exhibit on Elko-local Bing Crosby. When it comes to Nevada, this place is Nevada. If you’ve got kids in tow, this is a great stop to make the trip educational. And the 4,000-volume library is an excellent place for research on northern Nevada history, particularly as it pertains to mining and the Old West. 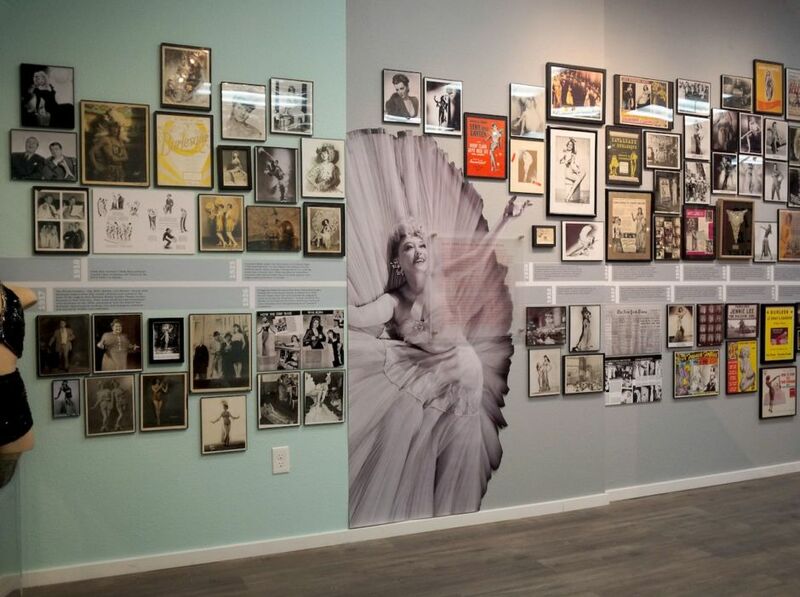 The collection includes several thousand costumes, props, photos, and personal belongings documenting the careers and lives of burly-q performers (and producers) over the years, from its earliest incarnation in vaudeville to the neo-burlesque movement of the last 20 years. Though it shouldn’t need to be said, you definitely won’t find this anywhere else. If you’re really interested in the art form, don’t miss the Burlesque Hall of Fame Weekender, held late spring every year. It’s a showcase of icons, all-stars, and all things burlesque, with vendors, classes, social gatherings, and — of course — live burlesque entertainment nightly. To experience a piece of Nevada’s haunted history — and in a state full of ghost towns, you can bet there are a LOT of places rumored to be haunted — you have to visit the Washoe Club in historic Virginia City. The spot, originally built in the 1870s as a private club for the wealthy, was aptly known as the “Millionaire’s Club.” Now? It’s known as one of the West’s most haunted locations. The Washoe Club was featured on Travel Channel’s Ghost Adventures and SyFy’s Ghost Hunters, and you can recreate that ghost-hunting experience with a haunted lockdown that grants access to all three floors of the building — including the extra-haunted crypt and spiral staircase. Overnight lockdowns are available for an additional cost. Or, you can just visit the Haunted Museum and take the optional 40-minute guided tour of the whole building (offered daily). …Wacky and world-class. Just like the state itself.